Before the new season starts, I would like to thank all those who play, support, drive, score, train, coach and help the season run smoothly. Especially those who continue to coach and play, support myself, and every team out there every week. THANK YOU! I would also like to thank coaches that have been in the club for seasons (and years!) that have given their time and commitment to the club. The end of this season also brings an end to an era, Shane who coached our u12s is stepping down- all you have done is much appreciated and we wish you well being a parent on the sideline! A well deserved break. It also ends an era for two girls that have been part of this club since u10s. 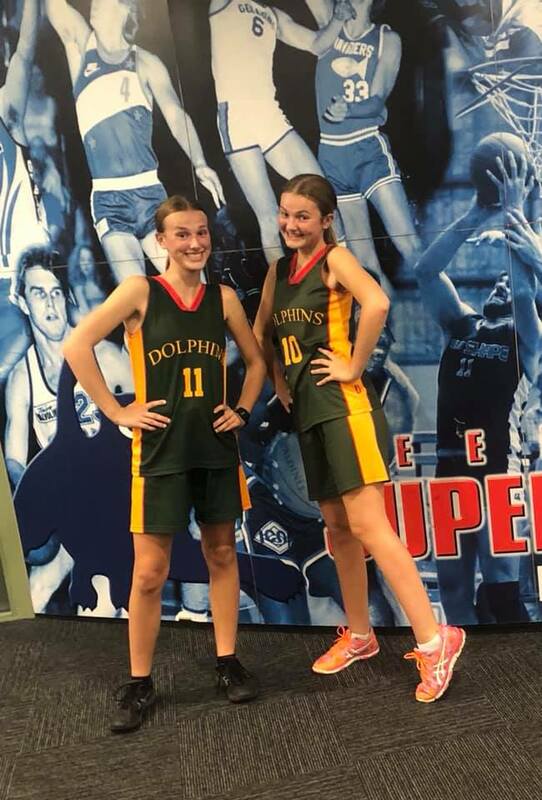 Ebony and Olivia have hung up their basketball boots after 11 and 10 years. A huge thanks to the girls for committing to the club for so long and we wish you all the best in your future endeavours, and hopefully we see you in the green uniform in the future! I'd Like to Play for Dolphins !